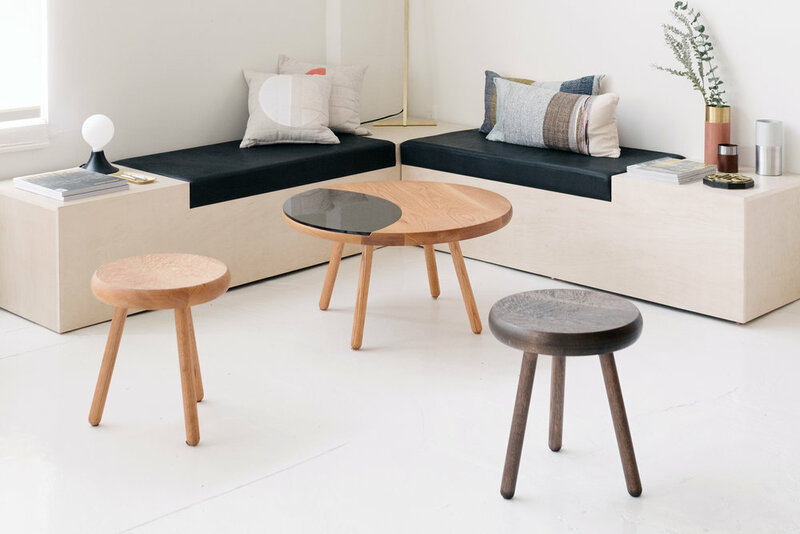 Dibbet Coffee Table — De JONG & Co. The Dibbet coffee table is a minimalist, round table with a glass lens-shaped insert recessed into the top. A comfortable and contemporary living room centerpiece or side table, the hard insert is duly apt to help you take down a note or place a drink without worrying about where your coasters went. The glass is removable and thus easily cleaned and can be used for entertaining your favorite cheese or charcuterie. With the Dibbet coffee table you can sit back while keeping everything you want close at hand. Pictured in oak with smoked gray glass.